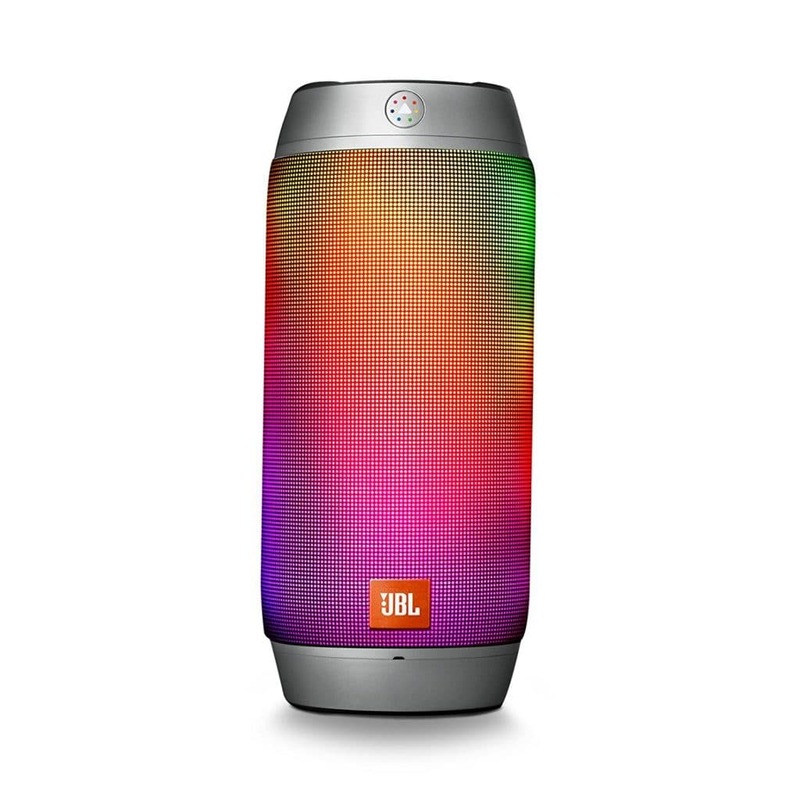 You are here: Home / buying guides / JBL Pulse 2 vs Ultimate Ears Boom 2 which Speaker should I Buy? Before we start comparing them, it is important that we have a look at their pros and cons individually. Things to keep in mind before we begin, both JBL Pulse 2 & Logitech Ultimate Ears Boom 2 are Portable Bluetooth Speakers with 500+ & 1300+ Customer reviews on the Online eCommerce site “Amazon” respectively. With an average User Rating of 4 to 4.5 stars, without wasting no time further let us get to the point and see whats hidden behind this two highly reviewed and bought portable Bluetooth Speakers. When it comes to the price of the product the JBL Pulse 2 is a mid-range Portable Bluetooth Speaker, still offering features no less than a premium Quality Speaker. The most loved feature of this product other than its sound quality is the flashy, interactive LED light covering all over the outer housing which changes according to the beats of the music. The body of the Speakers is sturdy and strong, while it is Splashproof (not Waterproof) you can have it around you while taking shower and place it over a platform and enjoy the pleasant music while you relax after a workout. The Lights on the Speakers change dynamically depending on the mood of the music, you’ll also find a prism sensor embedded in the speaker which enables you to hold a colored piece of paper or colored object up to it and press a button on the speaker and have the LEDs change to that color. It seems magical at first attempt but you’ll fall in love with the light show as you further use the speakers. There is a button on the speakers which enables the user to select more than 12 different light show themes, pressing the button longer would turn the lights off. The sound quality of the speakers is impressive for the speaker’s size, with the perfect combination of bass and clarity. Its high-quality bass and loud music enable you to take them to a party where you can connect multiple speakers wirelessly and play the same music through the companion Application available on the iOS and Android App Store. It’s perfect to carry shape and design looks like a rounded rectangle with weight no more than ~1 lbs. It houses a 6000 mAH rechargeable Battery which can last up to 10 hours of continuous playback. You can also pick calls with a press of a button and hear crystal clear sound with its noise and echo canceling speakerphone feature. The Ultimate Ears Boom 2 are definitely among the best Wireless Bluetooth speakers you can get in the market. With its IPX7 feature, it can be your best outing partner. The outer Fabric cover is tightly woven making the device more strong and techy in looks, the flap that covers the ports is now better integrated into the unit. Comes with a range of 7 color options to choose from, Blue, Pink, Orange, Green, Black, White & Gray. The Speakers are completely waterproof(IPX7- Submersible up to 1 m for 30 mins) which makes it convenient and easy to carry your tunes poolside or while you relax on the beaches. Moreover, the Speakers are drop-resistant to five feet or 1.5 meters, isn’t that nice from a speaker this price. The sound quality of the speakers is comparatively good from the other speakers in the market with same price range. The loudness of the Speaker is worth noticing, also the bass quality and combination of loud music make it best for carrying it outdoors while expecting quality outputs. It has a Bluetooth range of up to 100 ft and can last around 15 hours of continuous playback. and two 45 mm x 80 mm (1 ¾ x 3 inches) passive radiators. Standby Time Usually the Battery won’t drain for days If the Speakers are not used. Frequency Response 85Hz – 20kHz Maximum Sound Level: 90dBA. 90Hz – 20kHz. Here the main points to consider are both the speakers have the same price tag that is around $110-$130. While the JBL has a light show feature which definitely is an adorable watch sight, although the Ultimate Ears Boom 2 have an upper hand as it features IPX7 Waterproof and a drop resistance sturdy body. The JBL Pulse 2 also lags behind on the battery capacity with a more 50% battery housing than the JBL Pulse 2 the Ultimate Ears Boom 2 takes the cherry on the cake. I would suggest you go with the JBL Pulse 2 only in a case where you don’t make use of it for outdoor campings, trekks as the Pulse 2 is best when it comes to small party where there are no chances of it getting submerged or wet as well as no risks of it falling from high grounds. All these features are loaded in the Ultimate Ears Boom 2 with High Battery Backup lasting for over 15 hrs of continuous playback, as well as large sound drivers putting a high-quality sound output. I would recommend you to go with Ultimate Ears Boom 2. Considering a long term usage the Ultimate Ears Boom 2 are the Today’s Best Pick.